For the longest time, I've been using this blog to log my WODs and track my progress. 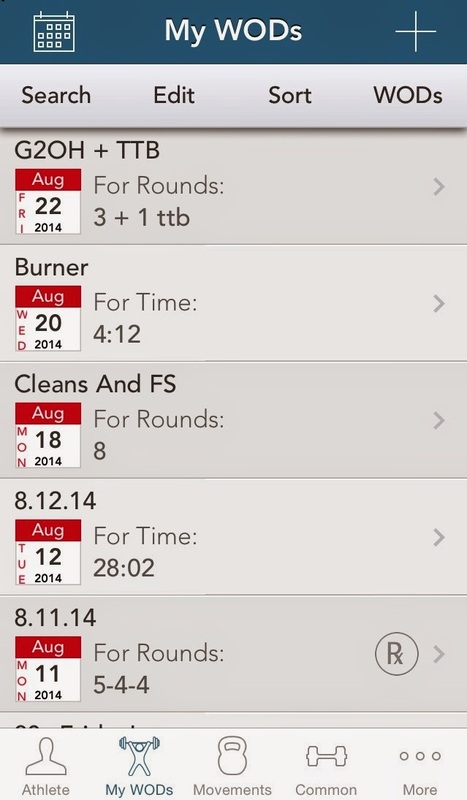 But after some nosing around the net, I decided to get the myWOD app and it's sooo useful! All I have to do now after the WOD is open the app, retrieve the WOD feed from the CFMNL site, and enter my score. I really haven't been working out as often as I used to. There are still a lot of things that I wish were different in the new box, but there's nothing I can do to change those so I just have to work around them and learn to tune out the bad.